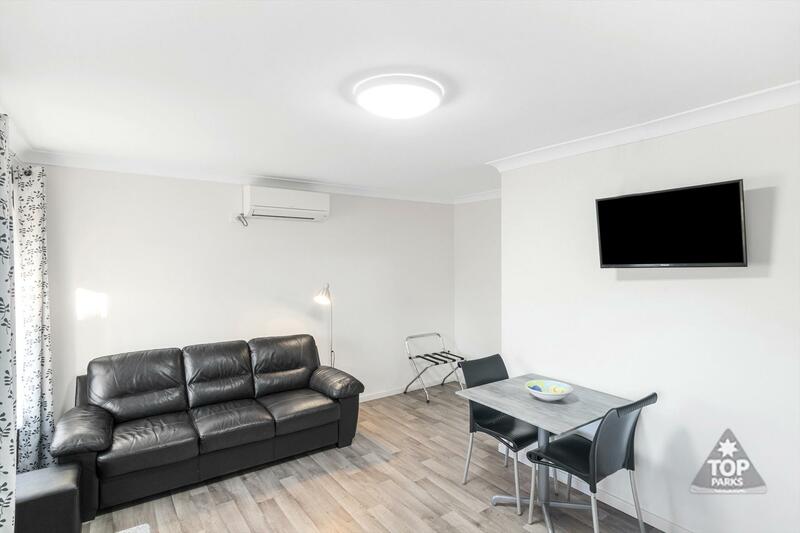 One Bedroom holiday unit offers a fully self contained kitchen with reverse cycle air conditioning in the lounge and dining area. The comfortable lounge area seats 2 people and has a 32 inch television. The master bedroom has a large queen bed made with quality linen. The unit has an ensuite with large shower, WC and basin. Parking for one vehicle provided. Base price for 2 people. 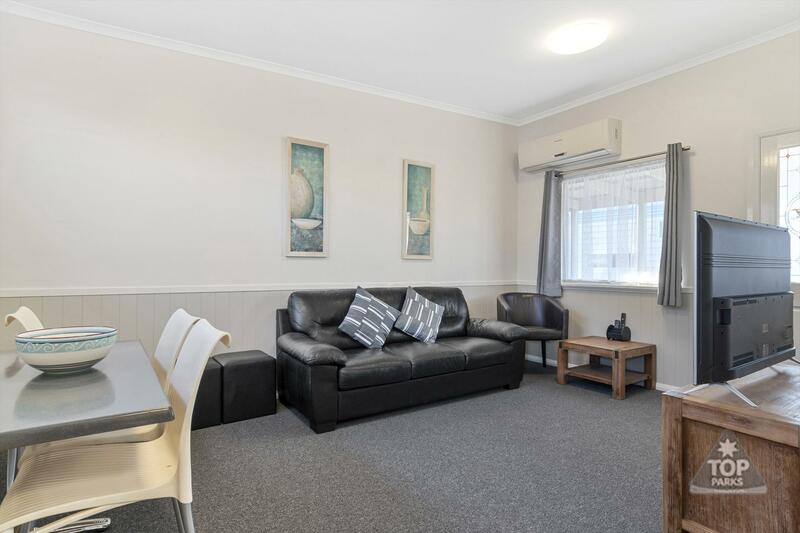 Two Bedroom holiday unit offers a fully self-contained kitchen with reverse cycle air conditioning in the lounge and dining area. The comfortable lounge seats 5 people and has a 49 inch television. The master bedroom has a large queen bed along made with quality linen and a 32 inch television. 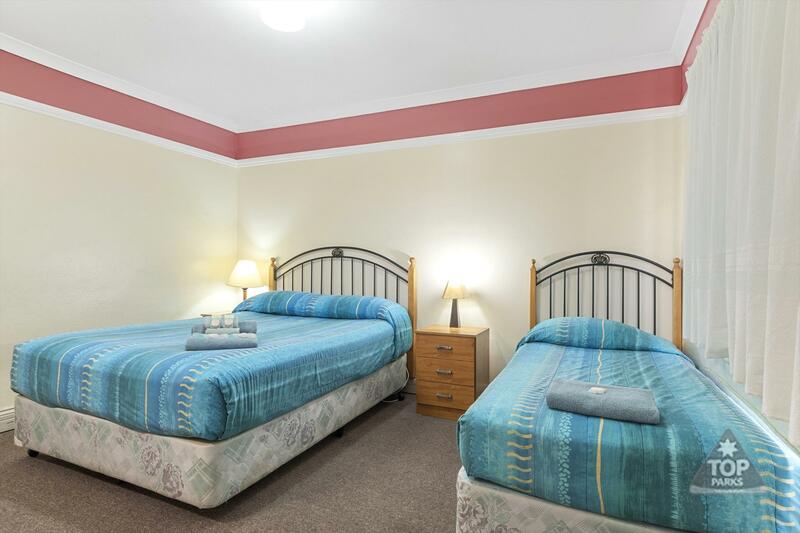 The second bedroom has 2 king singles or one king single and one set of bunks. The unit has a ensuite with large shower, WC and basin. Parking for two vehicles at front of unit. Base price for 2 people. 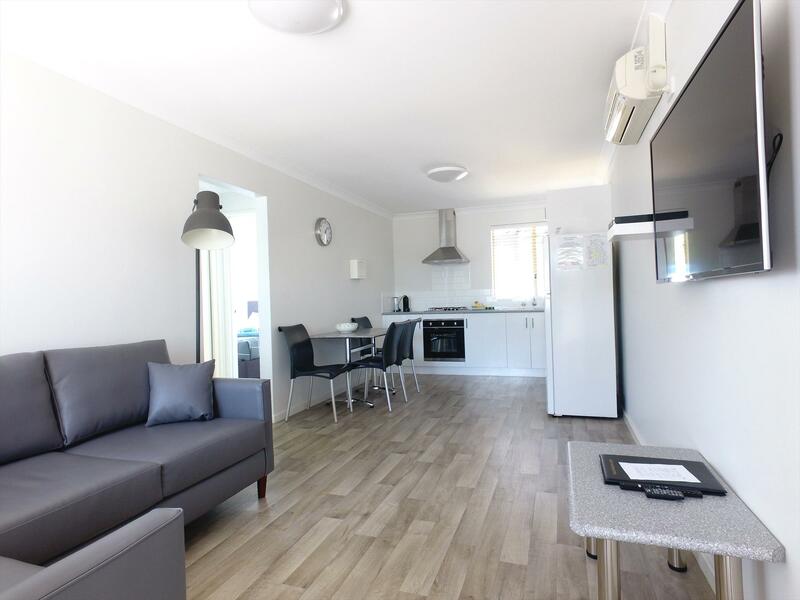 New Build, two Bedroom holiday unit offers a fully self contained kitchen with reverse cycle air conditioning in the lounge and dining area. The comfortable lounge seats 4 people and has a 42 inch television. The master bedroom has a large queen bed along made with quality linen, built in robe and a 32 inch Television. The second bedroom has a bunk bed made with quality linen. The unit has a modern ensuite with large shower, WC and basin. Parking for one vehicle at front of unit. Base price for 2 people.